Having a new blog can be an exciting adventure to embark on. Using WordPress can be even more exciting. This blog site offers ideas, embellishments and themes to make your blog your very own and unique from other ones. From blogs about gardening to blogs about raising kids and puppies, there are themes for any, well, theme of blog. While these are the best themes, it is important to find one that fits your personality, style, interests and likes. A blog is something to call your own and show yourself off and a theme should be reflective of these things. Mobile World is a great responsive theme if you expect to have a high amount of mobile traffic. It lets mobile users easily access your blog and has custom templates. The theme also offers shopping cart support and short code generators to make running the blog a little simpler for you and using the blog a little simpler for your readers. Mobile World is perfect for the blogger who has lots of mobile readers that are ready to enjoy a blog on a mobile platform. One of the most popular things in internet technology are pinboards. There are many different sites that allow users to virtually pin ideas and things they want onto a board where they can review them later. This allows users to remember things they wanted and easily return to them. The pinboard theme offers pin technology with grids and mobile access to allow readers to enjoy the things they want to. Grids are very popular ways of organizing information and pictures. The internet is not place to stop using grids and can make browsing a little bit easier. The Grid Theme Responsive allows the use of HTML and CSS writing while providing mobile access to users. One of the huge benefits of grids, especially in this theme, is the ability to infinitely scroll through posts and ideas. The karma theme boasts sleek lines and clean organization for your WordPress blog. It comes with SEO capabilities that will allow customers to come directly to your blog when looking for something specific. It, like most other themes, is mobile optimized and able to be viewed exclusively on mobile without any glitchiness. The karma theme also offers shopping cart support for customers. The photolux theme is a great theme idea for people who have lots of pictures on their blog posts. They can organize different blog posts by photos and allow the user complete control over the look of the blog. This theme offers unlimited skins and unique templates. There are also various unlimited sliders that allow users to enjoy the look of the blog while maintaining the complete functionality. While most of these themes are free ones, some are paid themes. It is important to remember that good results require good investments. Choosing to use a paid theme may be the difference in a blog that flourishes and thrives and one that flops after the first few posts. These are just a few of the best themes for your WordPress blog and may be used as just an idea to get started. Make sure that you choose a theme that fits you. James Hoyle is a web design enthusiast and loves to blog about the subject. 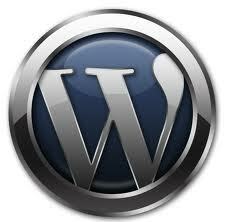 He currently works with EFW, one of the leading companies hosing many skilled wordpress developers. Akhtar bro. This post looks more attractive when you add demo images of themes.